One of the most effective upgrades for an aging Mac is an SSD (solid state drive) upgrade. 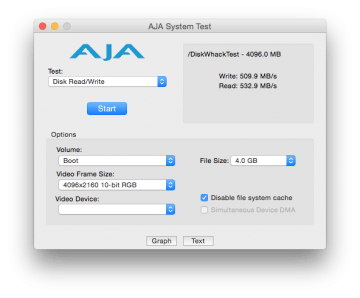 I received an inquiry from a freelance video editor in St. Paul about speeding up his Apple 27″ iMac. This iMac had gotten so slow that it was used as a glorified display to a MacBook Pro retina. 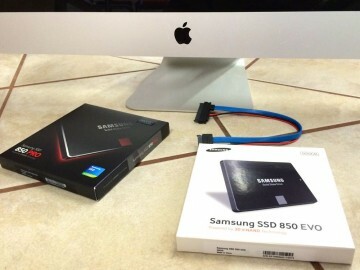 We both agreed an SSD upgrade was the right path to take. 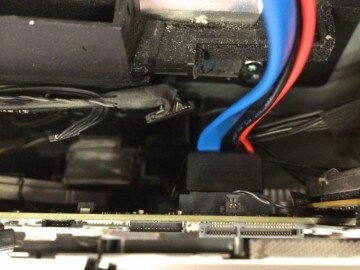 Having worked on these iMac before, I know there’s a hack to mount a second hard drive which I proposed could be used as a scratch drive – very beneficial in video post editing work. We ordered 2 Samsung EVO SSDs for a dual SSD upgrade and went after it. The results was a staggering 500MB/s+ average speed for both the boot SSD drive and scratch SSD drive. 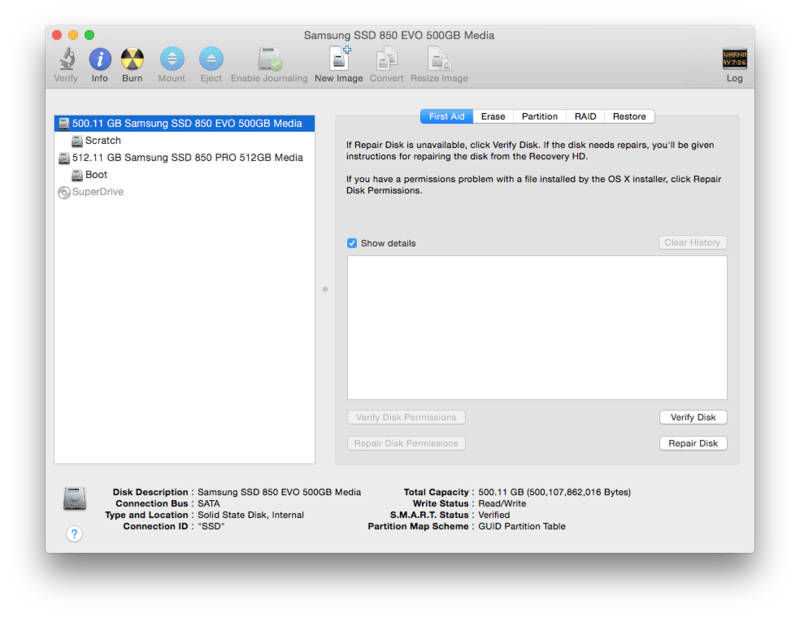 We ran the same test on the aging original drive and it barely broke 50MB/s. The iMac has effectively increased ten fold in terms of hard drive performance. Booting time went from “it’s taking f-ing forever” to “wtf just happened”. 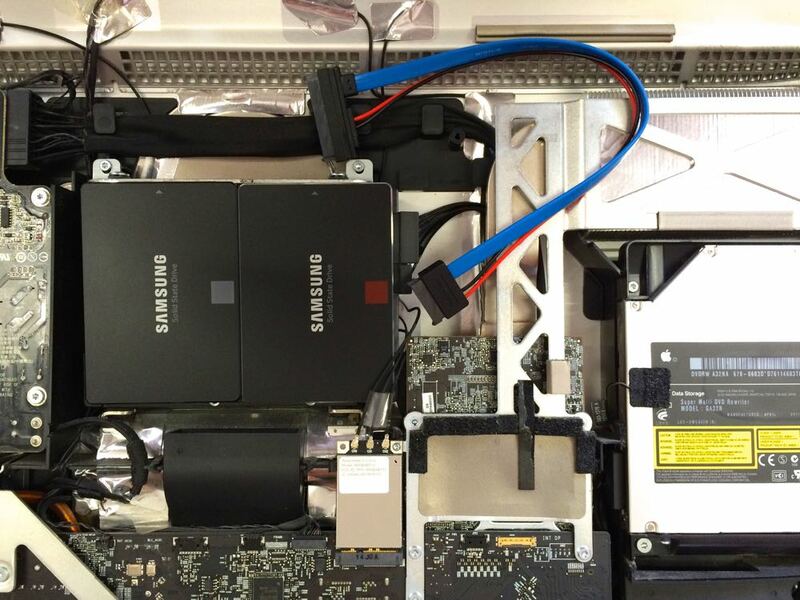 Take a look for yourself at the speed test screen captures and photos of this iMac dual SSD upgrade process.